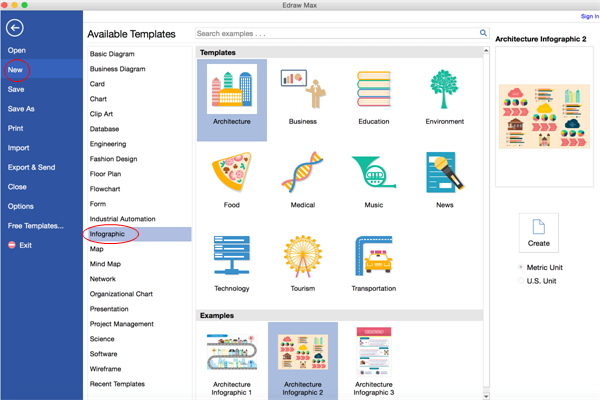 Easily and instantly create an infographic on Mac with an advanced diagramming program. With various built-in symbols and cutting-edge drawing tools, creating unique infographics effortlessly in a few minutes is attainable for anyone now. Open a blank canvas and the libraries including shapes needed for creating Infographics on Max OS X. On the File menu, point to New.-> Click Infographic, choose an infographic type and then double click its icon. From the left library, drag and drop suitable shapes to the canvas. Drag the green square handles to resize shapes and drag the round handle to rotate shapes. Click the arrow under Font Color for Paragraph settings. Some infograpic charts are smart shapes. Rest your cursor over the smart chart to show the floating action button. 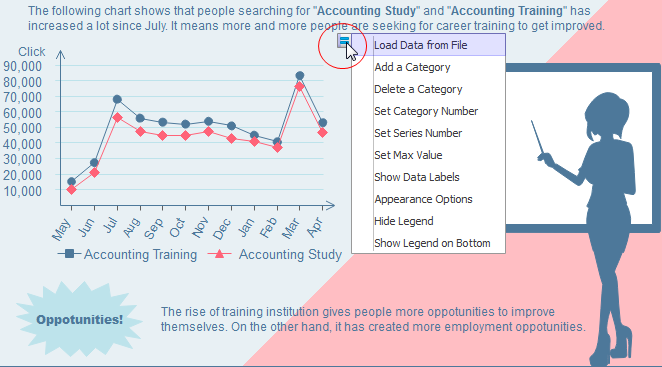 Add/delete a category/serie by clicking relavant menues. Double click the data label to enter your own data. 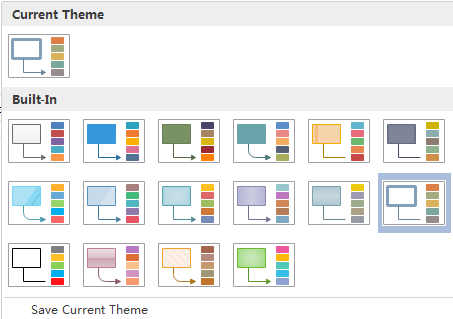 Switch to Infographic tab, apply another Infographic theme. This operation doesn't apply to shapes that use standard colors. To insert your own pictures in local file, go to Insert tab and then choose Insert Picture From File. You can choose to save in local files or save in your Cloud. 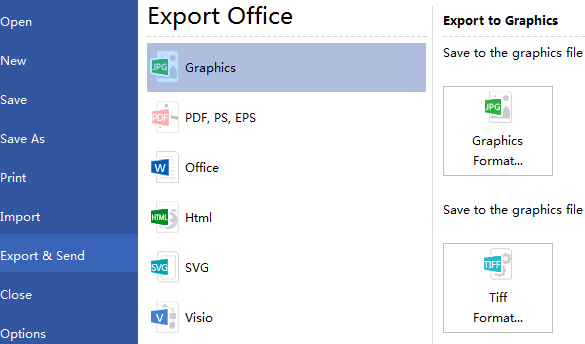 Hit Export & Send under File to export the infographics as images, presentation slides and web documents and so on. Click File tab and then choose Print to enter print setting and preview window. You can specify the print range and copies here.